Hepatoma Research is an internationally peer-reviewed, continuously published online journal established in April 2015. 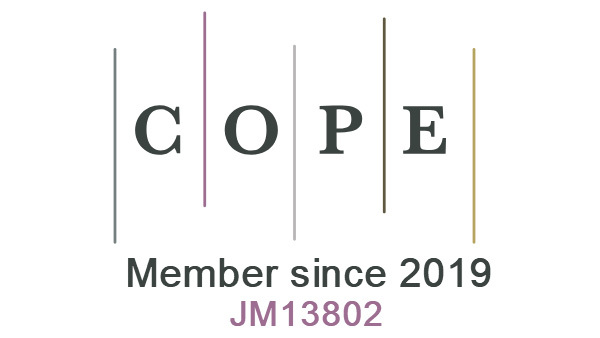 The journal focuses on all topics related to hepatoma, including guidelines, standards, occurrence, development, diagnosis and treatment, etc. Hepatocellular carcinoma (HCC) is a growing health problem in humans. HCC is considered the most common of internal malignancy which cause the death of human, but in the developed Western world, HCC is less common accompanied by increasing essentially in incidence, due to it occurs specially in chronic liver disease. HCC associated with various risk factors including hepatitis B virus infection; hepatitis C virus infection; prolonged aflatoxin exposure; and alcoholic cirrhosis. Overall, one-third of cirrhosis patients will develop HCC during their life time. Also, chemical carcinogens cause tumor promotions through free radical metabolites result in many biochemical and molecular changes that induces oxidative stress. The identify of HCC stage and underlying liver status then choosing the most appropriate line of therapy (surgical, loco regional, radiological and medical) can be improve the survival and/or the quality of life of the patient. Taken into the account of the nutritional value of some natural antioxidant agents that support the function of the body resulting an improvement of the health and protection from different diseases, our review will provide an up-dated status of the different aspects of HCC management through covering the efficacy and the beneficial effects of different natural agents and their mechanism of action against HCC for the future therapy modalities. As obligate intracellular parasites, viruses need a host cell to provide a milieu favorable to viral replication. Consequently, viruses often adopt mechanisms to subvert host cellular signaling processes. While beneficial for the viral replication cycle, virus-induced deregulation of host cellular signaling processes can be detrimental to host cell physiology and can lead to virus-associated pathogenesis, including, for oncogenic viruses, cell transformation and cancer progression. Included among these oncogenic viruses is the hepatitis B virus (HBV). Despite the availability of an HBV vaccine, 350-500 million people worldwide are chronically infected with HBV, and a significant number of these chronically infected individuals will develop hepatocellular carcinoma (HCC). Epidemiological studies indicate that chronic infection with HBV is the leading risk factor for the development of HCC. Globally, HCC is the second highest cause of cancer-associated deaths, underscoring the need for understanding mechanisms that regulate HBV replication and the development of HBV-associated HCC. 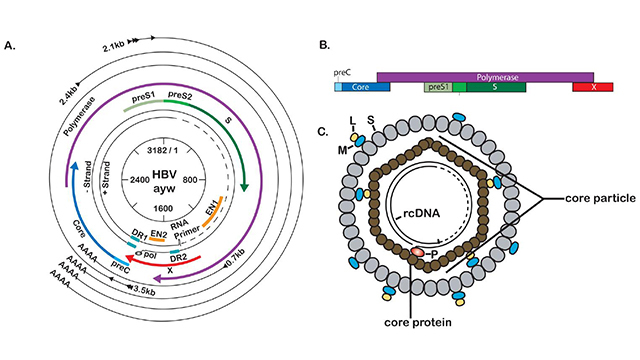 HBV is the prototype member of the Hepadnaviridae family; members of this family of viruses have a narrow host range and predominately infect hepatocytes in their respective hosts. The extremely small and compact hepadnaviral genome, the unique arrangement of open reading frames, and a replication strategy utilizing reverse transcription of an RNA intermediate to generate the DNA genome are distinguishing features of the Hepadnaviridae. 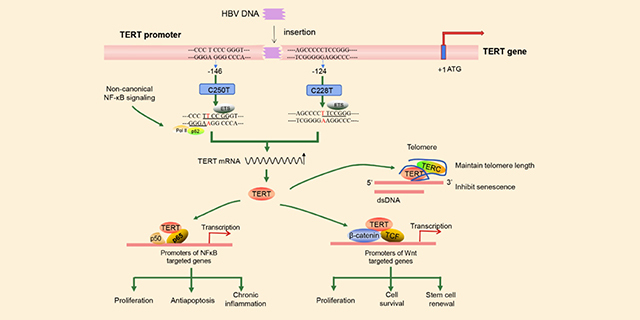 In this review, the authors provide a comprehensive description of HBV biology, summarize the model systems used for studying HBV infections, and highlight potential mechanisms that link a chronic HBV-infection to the development of HCC. 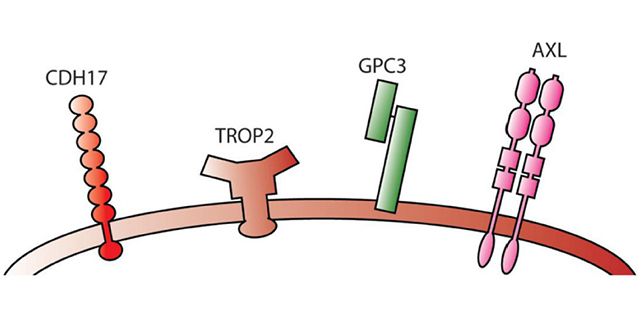 For example, the HBV X protein (HBx), a key regulatory HBV protein that is important for HBV replication, is thought to play a cofactor role in the development of HBV-induced HCC, and the authors highlight the functions of HBx that may contribute to the development of HBV-associated HCC. A selection of patients with hepatocellular carcinoma (HCC) for surgical resection is crucial and algorithms/staging systems help surgeons to decide on a standard treatment for each patient and each HCC stage. However, there are always difficulties in remembering and/or recalling the contents of the algorithms/staging systems. Moreover, most algorithms/staging systems don’t include data about the extent of hepatectomy, intra-hepatic distribution of tumor(s), and technical feasibility of resection, all of which are vital in the surgeons’ decision-making process. Here, we aimed to present a simple and handy mnemonic acronym for selecting resectable HCCs in surgical practice. This was reproduced from the existing well-known staging systems. The designed mnemonic acronym is a phrase “PERISH” and it includes asking for Performance of patient, Extra-hepatic disease, Reserve of liver, Intra-hepatic distribution, Stratifying risk factors, and Hepatectomy size in order. Performance based on whether the patient is mostly bedridden or not, should be the first step of evaluation. Next, asking for suspicious metastasis as bone pain and radiological evaluation of abdomen/thorax is mandatory. 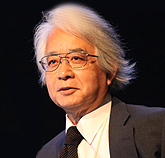 The calculation of Child-Pugh score is only the third step. Good candidates for surgical resection should be Child-Pugh “A” with normal bilirubin levels. Technical feasibility of resection according to the intra-hepatic distribution of tumor(s) should be done later and the candidates preferably should not have portal hypertension (no splenomegaly, no thrombocytopenia). If the patient fulfils all the previous steps, the surgeon may perform indo-cyanine green clearance test. Consequently, following the PERISH flowchart may prevent “perish” of the surgeons while selecting the appropriate resectable HCCs. Cytokines are soluble extracellular small molecular weight protein or peptide. They are produced by virtually every nucleated cell type in response to injurious stimuli to control body metabolism, infection, inflammation and tissue or neuronal damage; therefore acting as messengers between tissues and the immune system; and participating in many physiological processes through their either anti-inflammatory or pro-inflammatory characteristics. Many cytokines have multiple cellular sources and targets, as well as many natural inducers and inhibitors. In pathophysiological conditions and during the early phase of chronic liver diseases, agent like virus, bacteria, parasites, ethanol, or toxins, induce secretion of cytokines at high levels. The presence of cytokine antagonists and soluble cytokine receptors, often released in concert with their respective cytokine agonist, presents additional complexity to interpretation. 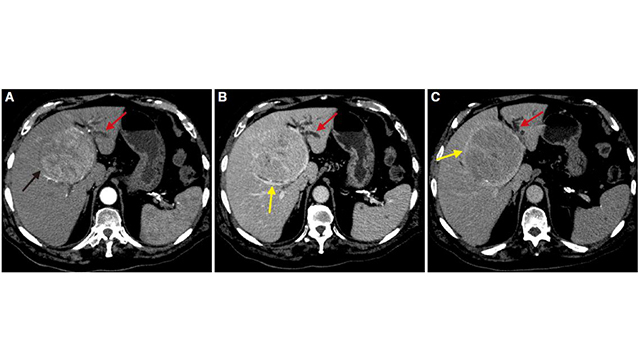 Hepatocellular carcinoma (HCC) arising in non-cirrhotic livers is relatively rare. Compared with HCC arising in cirrhotic livers they have some quirks. HCC in healthy livers are large tumors at diagnosis, and are detected due to the onset of abdominal symptoms, outside of any scheduled monitoring program. In non-cirrhotic patients, HCC has the same appearance as the classic image of cirrhotic HCC substrate. The presence of capsule, extensive intratumoral necrosis and typical behavior in the dynamic study after administration of intravenous contrast are present in most of the non-cirrhotic livers. In the presence of a suspicious lesion of HCC, we must assess the existence of underlying chronic liver disease. Ultrasound, computed tomography, and conventional magnetic resonance are imaging techniques that have a high specificity for the diagnosis of cirrhosis, but exhibit low sensitivity for diagnosis in the early stages of the disease. 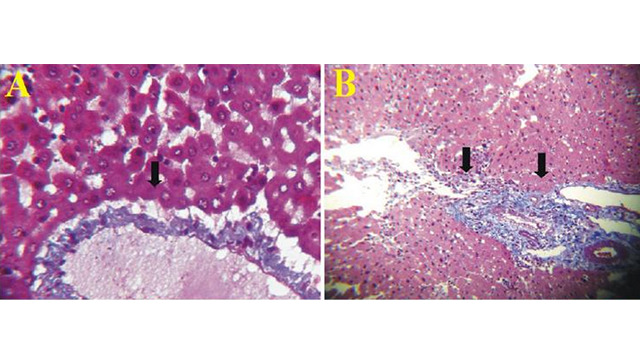 In recent years, new imaging methods are being developed to assess emerging liver fibrosis. 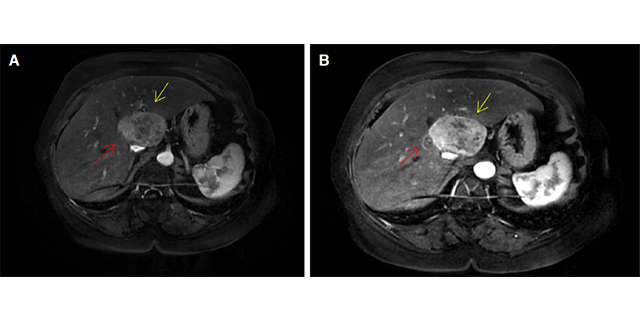 In particular, in patients without chronic liver disease it is imperative to consider the differential diagnosis with other tumors that may settle in healthy livers with similar radiological characteristics as HCC. Therefore, in the presence of a lesion with pathognomonic radiological characteristics of HCC in the absence of cirrhosis, biopsy is required. Over the past few years, despite improvement in screening and diagnosis of hepatocellular carcinoma (HCC), advanced stage remains the most common presentation at diagnosis, with limited management options, especially options available to patients in limited resource countries. There is currently no effective systemic chemotherapy, targeted, or immunologic therapy for advanced stage HCC. Sorafenib is the only approved front-line molecular-targeted treatment,with slight survival benefit. Regorafenib has recently been approved as second line therapy for HCC after failure of sorafenib. Ongoing research on molecular agents targeting different pathways, combination therapies, and immunotherapy, represent hope for new treatment modalities. This manuscript reviews current treatment, ongoing research, and potential future treatments for advanced HCC. Hepatorenal syndrome is not an uncommon life-threatening complication arising from liver cirrhosis. The diagnostic criteria for this syndrome have been revised throughout the years, with recent revisions aimed at improving earlier diagnosis and treatment. 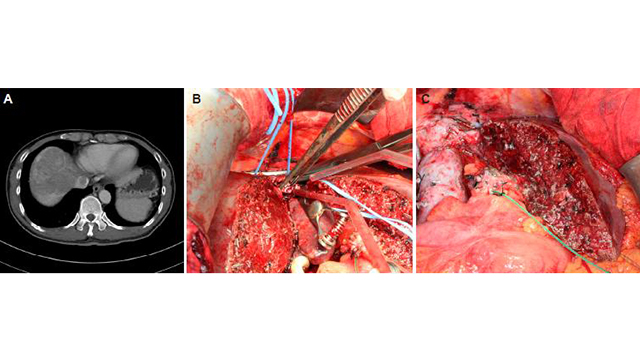 Liver transplantation remains the only definitive treatment for hepatorenal syndrome. Due to the scarcity of liver grafts, many patients die waiting. 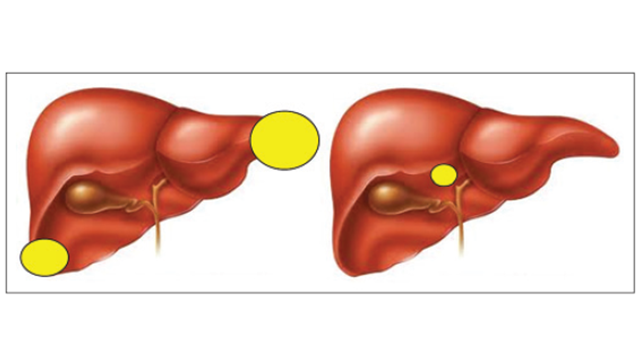 This review focuses on the different strategies to bridge patients to liver transplantation and to improve the postoperative outcome. Liver diseases are most common disorders in the world and characterized by rapid changes from steatosis to chronic hepatitis, fibrosis, cirrhosis, and hepatocellular carcinoma (HCC). Natural products that attained great attention is to be used in the prevention and treatment of multiple diseases in humans. Several researches have been reported numerous natural and phytochemical compounds that may counteract or prevent the hepatic injury and primary liver cancer. The conservative treatment of liver toxicity and HCC may face awkward challenges in chemotherapy such as therapeutic failure or drug resistance. Accordingly, there is an actual need for safe and effective therapeutic and preventive modalities for liver disorders. The present review aims to focus on the potential protective and therapeutic effects of natural compounds in prevention and treatment of hepatotoxicity and HCC. It also demonstrates the mechanism of the natural products in enzymatic regulation of antioxidants and its role in apoptosis and proliferation of cancerous lesions of hepatocytes. Accordingly, it highlights the promising role of natural bioactive compounds and provides the rational for further transitional researches, and emphasize on the scientific validation of natural compounds for therapeutic portfolio for clinical use in liver diseases. Aim: The flowers of Bombax ceiba are traditionally used as home remedy in the treatment of jaundice and spleen enlargement. The present work investigated the effect of aqueous extract of flowers of Bombax ceiba (BCAE) on experimentally induced hepatotoxicity in rats to substantiate its traditional use as hepatoprotective agent. Methods: Hepatotoxicity was induced in rats by carbon tetrachloride (CCl4) treatment; at the same time vehicle or BCAE (250 or 500 mg/kg) or silymarin (25 mg/kg) were administered daily orally for seven days. Hepatotoxicity was assessed by estimating the activities of marker enzymes and by histological studies. The antioxidant effect of BCAE was assessed by measuring amount of antioxidant phytochemicals (total phenolics and flavonoids), and DPPH free radical scavenging assay of the extract. Results: BCAE treatment significantly prevented the CCl4-induced elevations in levels of glutamate oxaloacatate transaminase, glutamic pyruvic transaminase, alkaline phosphatase, bilirubin, and triglycerides, and decreased the total protein levels. 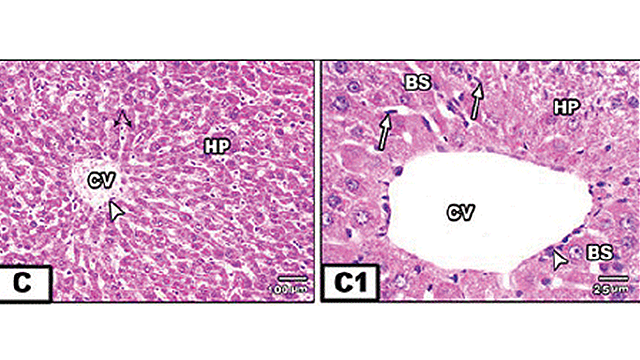 Treatment with BCAE attenuated the CCl4-induced cytotoxic damage to liver. BCAE exhibited presence of antioxidant phytochemicals and showed scavanging action on DPPH radicals. The hepatoprotective effect of BCAE was comparable to that of the standard antioxidant hepatoprotective agent, silymarin. These findings indicated that BCAE showed hepatoprotective effect against CCl4-induced hepatotoxicity and exhibited in vitro antioxidant effects. Conclusion: Bombax ceiba flowers exhibited hepatoprotective effect which may be attributed to antioxidant potential. This study also validated their traditional medicinal use in liver disorders. Aim: This study aimed to explore the potential of detecting hepatocellular carcinoma (HCC)-associated DNA markers, TP53 249T mutations and aberrant methylation of RASSF1A and GSTP1 genes, for monitoring HCC recurrence. HCC remains a leading cause of death worldwide, with one of the fastest growing incidence rates in the US. While treatment options are available and new ones emerging, there remains a poor prognosis of this disease mostly due to its late diagnosis and high recurrence rate. Although there are no specific guidelines addressing how HCC recurrence should be monitored, recurrence is usually monitored by serum-alpha fetal protein and imaging methods such as magnetic resonance imaging (MRI). 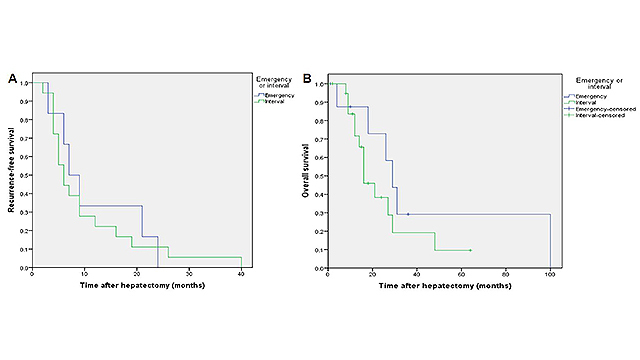 However, early detection of recurrent HCC remains limited, particularly at the site of treated lesion. Methods: Here, the authors followed 10 patients that were treated for a primary HCC, and monitored for months or years later. At these follow-up visits, urine was collected and tested retrospectively for 3 DNA biomarkers that associate with HCC development. Results: This 10-patient study compared detection of urine DNA markers with MRI for monitoring HCC recurrence. Five patients were confirmed by MRI for recurrence, and all 5 had detectable DNA biomarkers up to 9 months before recurrence confirmation by MRI. Conclusion: Overall, this suggests that detection of HCC-associated DNA markers in urine could provide a promising tool to complement detection of recurrent HCC by imaging. Aim: Deregulation of microRNAs (miRNAs) expression has been identified in hepatocellular carcinoma (HCC), but few results are consistent. 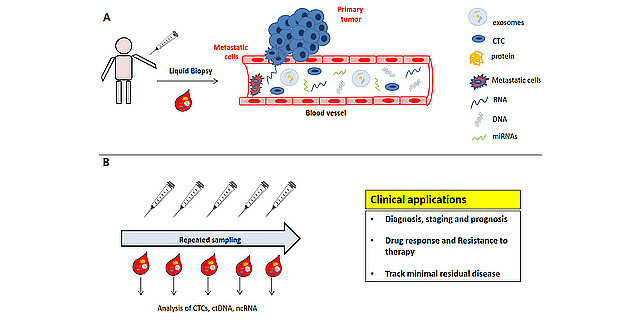 The objective of this study is to investigate “HCC tumor type specific” and “tumor common” miRNA panels. Methods: The authors integrate and analyze clinical, etiologic and miRNA profiles data from 9 types of solid tumors in The Cancer Genome Atlas (TCGA) and HCC data from Columbia University Medical Center (CUMC). Results: Levels of 33 miRNAs were significant different between HCC tumor and paired non-tumor tissues (over 2-fold changes) after Bonferroni correction for multiple comparisons, and most (28 miRNAs) were down-regulated in HCC tumors. 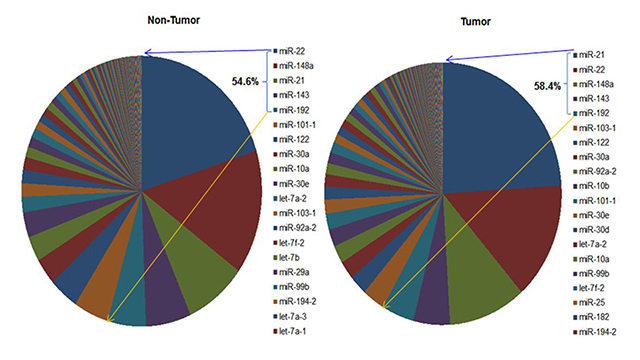 Using this panel, the authors well classified HCC tumor tissues with 4 misclassifications among 48 paired tissues. Validating this panel in an additional 302 HCC tumor tissues, the authors almost perfectly distinguished tumor from non-tumor tissues with only two misclassifications (99% of HCC tissues correctly classified). Evaluating miRNA profiles in 32 independent HCC paired tissues from CUMC, the authors observed 40 miRNAs significantly deregulated in HCC with over 2-fold changes; 14 overlapped with those identified in TCGA. Subgroup analyses by HCC etiology found that 4 upregulated and 8 downregulated miRNAs were significantly associated with alcohol-related HCC. There were 7 and 4 miRNAs significantly associated with hepatitis B virus- and hepatitis C virus-related HCC, respectively. Data for the first time revealed that miR-24-1, miR-130a and miR-505 were significantly down-regulated only in HCC tumors; miR-142 and miR-455 were significantly down-regulated in HCC, but up-regulated in 5 other solid tumors; suggesting their HCC “tumor type specific” characteristics. A panel of 8 miRNAs was significant in at least 5 tumor types, including HCC, and was identified as “tumor common” marker. Conclusion: The authors concluded that aberrant miRNA panels have HCC “tumor type specificity” and may be affected by etiologic factors. Radiofrequency, microwave, and laser ablation of liver tumors: time to move toward a tailored ablation technique? An important limitation for the success of chemotherapy in the treatment of primary liver cancer (hepatocellular carcinoma, hepatoblastoma and cholangiocarcinoma) is the marked efficacy of mechanisms of chemoresistance (MOC). These have been previously classified into five groups depending on whether they result in: a reduced drug uptake or enhanced drug export (MOC-1); poor intracellular activation of prodrugs or higher inactivation of active drugs (MOC-2); changes in the molecular targets that impairs the action of the drug by increasing the activity of the metabolic route to be inhibited or stimulating alternative routes (MOC-3); ability of tumor cells to repair drug-induced modifications in the target molecule, usually DNA (MOC-4); and the activation or inhibition of intracellular signaling pathways that lead to a change in the balance between pro- and anti-apoptotic factors favoring tumor cell survival (MOC-5). 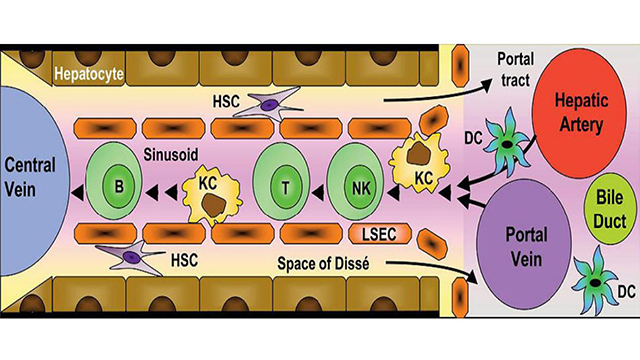 Nevertheless, novel information appeared over the last few years has recommended to consider two additional groups, MOC-6 and MOC-7, based on changes in tumor microenvironment, mainly hypoxia and acidity, and epithelial-mesenchymal transition, respectively. These contribute to the defensive armamentaria developed or enhanced in liver cancer cells to resist the pharmacological attack, which accounts for a negligible beneficial effect of commonly used antitumor drugs and only a modest response to novel targeted therapies based on tyrosine kinase inhibitors, such as sorafenib. Therefore, further advances are urgently needed to better understand the molecular and cellular bases of the chemoresistant barrier and help scientists in this field to develop new tools able to overcome cancer cell defenses. Hepatoma Research is published by OAE Publishing Inc.